This is very cool Michael. There is a lot of depth to the image from the sharp separation of foreground cattails and the receding background in less saturated colors. Fine piece of art. Agree with above comments. I like the fog effect and the hint of background that gives perspective. very fine image. I love the perspective you chose here- a work of art! The strong contrasts are wonderful and create just the right foggy mood-makes me feel like I'm right there peering through the cattails. 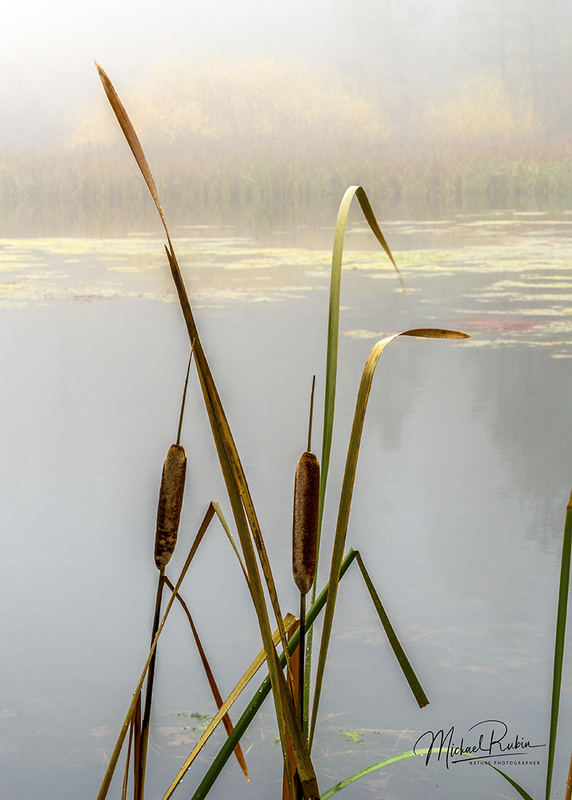 Handsome combination of the cattails and the foggy background scene.